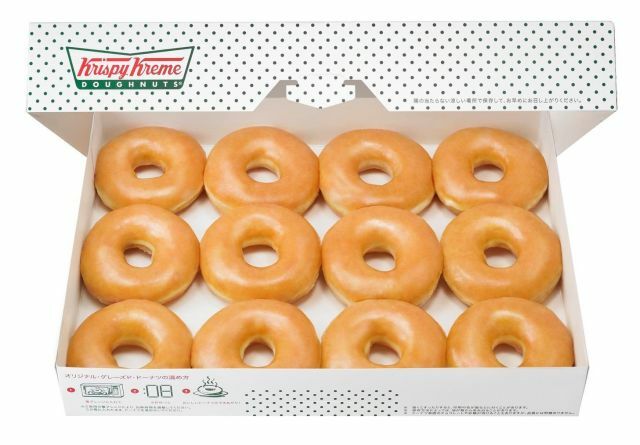 Krispy Kreme's annual "Day of the Dozen" promotion arrives on Wednesday, December 12, 2018 when you can get a dozen Original Glazed Donuts for $1 when you buy any dozen donuts at participating locations nationwide. The Day of the Dozen falls yearly on 12/12 as the promotion is when you can buy 12 donuts and get another 12 donuts for $1 (because it would not be much of a deal if it was $12). The offer is limited to two per customer (i.e. 48 donuts in total).